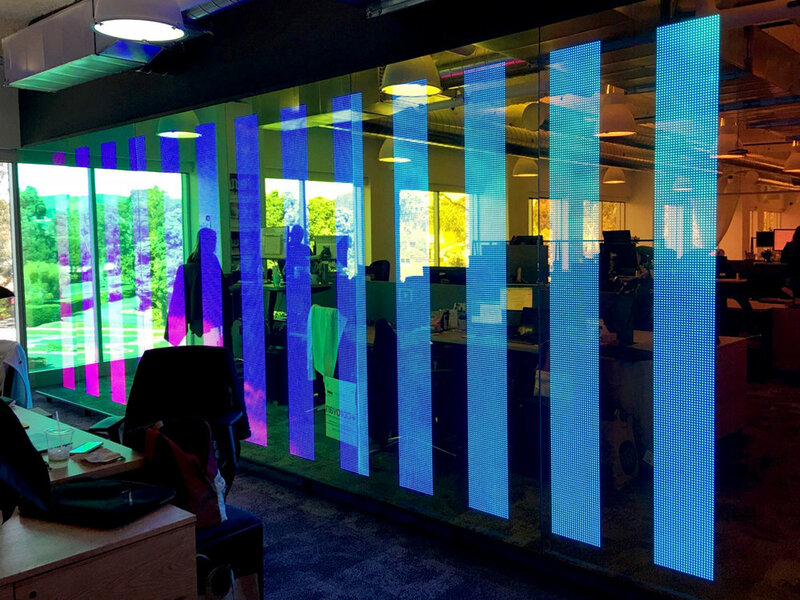 The California-based headquarters of Google's popular video-sharing website has a new network of displays that combine cutting-edge technology with a modern, sleek aesthetic. 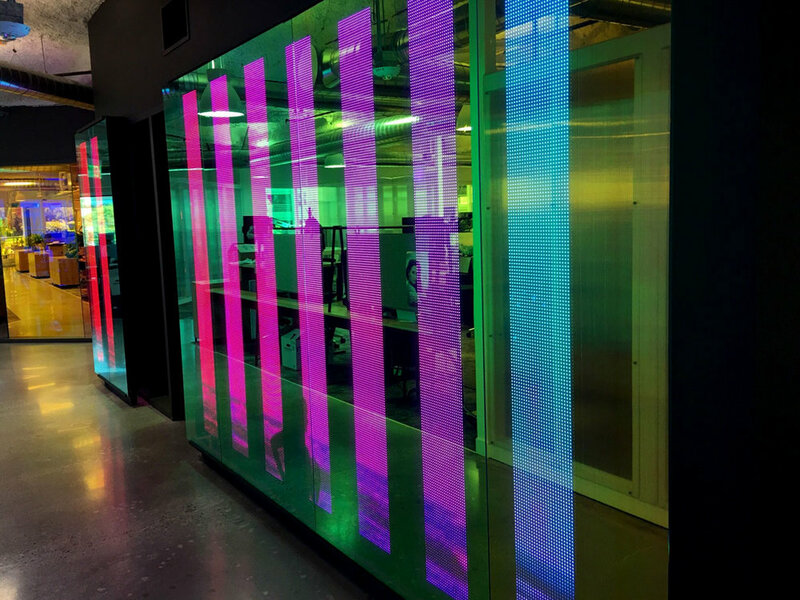 Installed in the lobby and along the hallways of YouTube's headquarters, each of the four custom displays are comprised of between 10 and 50 separate column-shaped screens, which work in tandem to showcase a single image across the multiple displays. 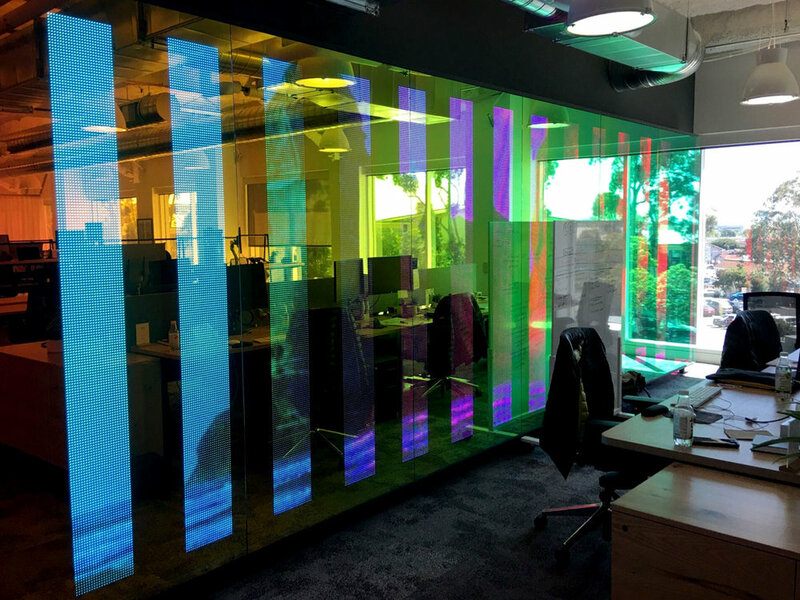 To add to the artistry of the project, SNA Displays worked with Lane Rick of Office of Things (OO-T) to create dichroic glass shields to “warp” each display, resulting in a unique application of SNA products. 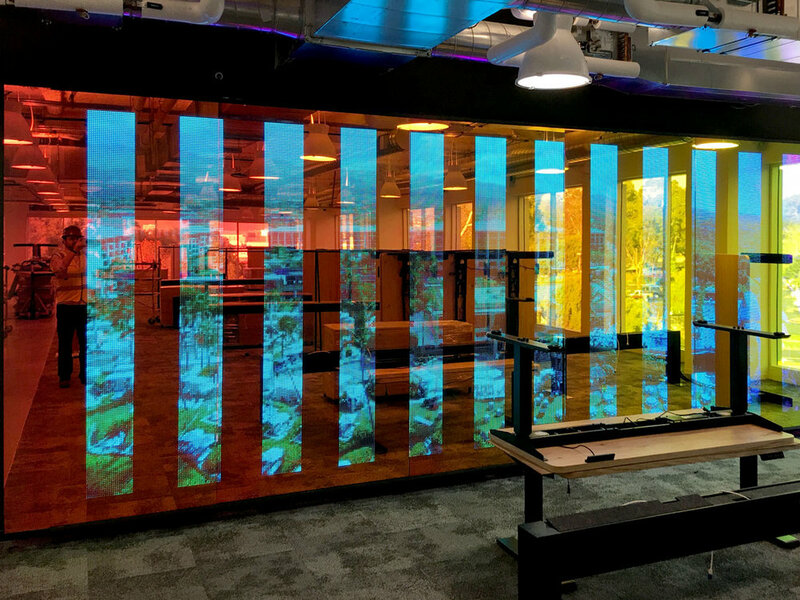 SNA provided 158 10 mm STANDARD PITCH S|Video™ displays for this one-of-a-kind project. Each screen measures either approximately 8 feet by 10 feet, with a resolution of 5,184 pixels, or 6 feet by 10 feet, with a resolution of 4,032 pixels. In all, the collection of displays contain a combined total of over 812,000 pixels. 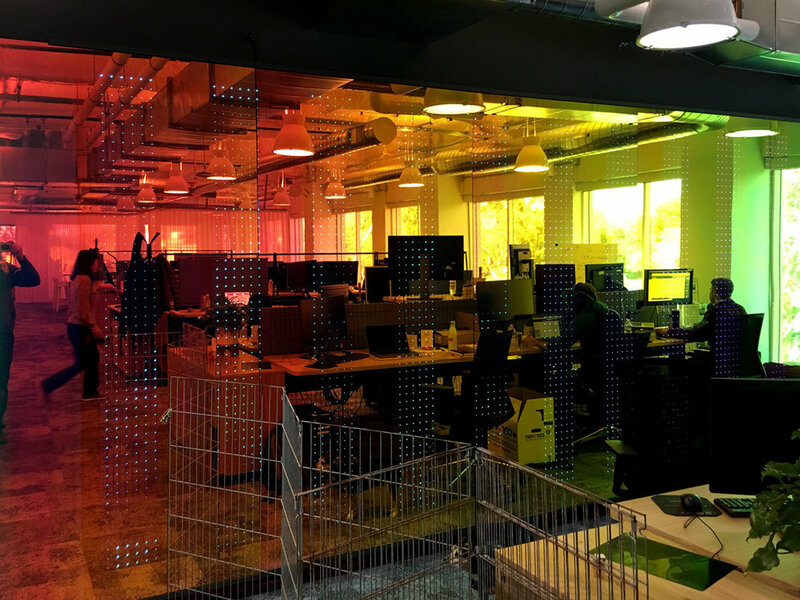 These interior LED video displays employ surface-mount devices (SMD) pixel technology, where the LEDs in each pixel are packaged together, allowing for crisp, clear imagery and a widened viewing experience. This project was completed in partnership with Audio Visual Design Group (AVDG), a member of the SNA Displays Channel Program, which supports a select group of best-in-breed North American audio-visual integrators with world-class indoor and outdoor LED solutions.